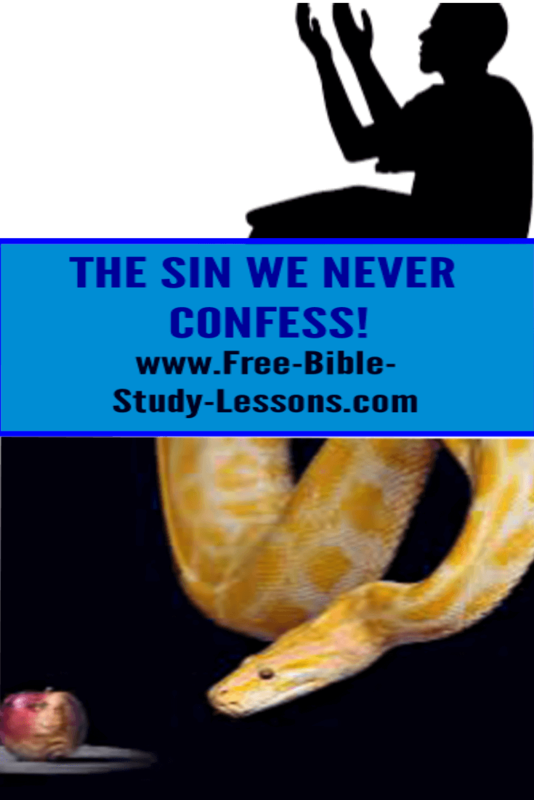 What is the one sin - the big one - that we almost never confess? What is the strength of temptation? How can we make the right choice and still sin? When temptation comes, Satan presents us with a choice. Will we follow God or will we make a sinful choice? The fact is, when we reach that point, we have already sinned - even if we make the right choice! Confused? Let’s start at the beginning. The primary confession of the Christian faith is: Jesus is Lord. That means Jesus makes the rules [laws] and we have committed to obeying Him. We have set Jesus on the throne of our hearts. If we truly have Jesus on the throne of our heart then, when faced with temptation, we have no decision to make. The decision was made when we declared that Jesus was our Lord. We no longer have any legitimate choice but obedience. We voluntarily gave up any “free will” we had. If when temptation comes we have to decide between the right choice and the wrong choice, we have already dethroned Christ and placed ourselves on the throne. We have, if fact, made ourselves a judge of God. We are attempting to make ourselves an independent judge able to neutrally evaluate the Word of God and the word of Satan [or our desires] and make a choice. In order to be a judge of God and His Word, we must be greater than God for only a greater one can give judgment in a case. In making the choice we have declared ourselves to not only be independent of God, but also superior to Him. No matter what decision we make, we have sinned. Even if we make the “right” choice we have made it because it is what WE decided. We have been the king and judge in our hearts. We just happened, in this case, to decide in favor of God... and we are usually proud of ourselves for making the right choice. Satan is laughing either way because Jesus is no longer Lord. The actual temptation was only the smokescreen for the big sin of denying that Jesus is Lord of our lives. And this is the sin we almost never confess. If we make the “wrong” choice, we will probably come back and repent of it - perhaps even with great genuine sorrow - but rarely do we confess that we dethroned Christ and placed ourselves on the throne of our heart instead. If we make the “right” choice, we will probably never give it a second thought. In that case, Satan is more successful if we make the right choice! So what do we do when we are presented with right/wrong choice? We declare that we have no choice, no decision to make. Our course is already charted. Jesus is Lord and obedience is our only option. No choice, no decision. If we find ourselves being caught into evaluating and judging the Word of God and the word of Satan, we need to repent right away, place Jesus firmly on the throne of our heart, and follow the path of obedience. The sooner we realize what is happening, repent, and reverse course, the better. What happens in cases when we must make decisions because we are not sure what God wants us to do? Studying the Bible, prayer, and Godly counsel can all help us determine what the will of God is. Once we have discovered the will of God, then obedience is our only option. No choice, no decision.